Posted on March 12, 2019 by Anna Tegelberg. This entry was posted in Promotions and tagged Take Our Kids to Work Day. Bookmark the permalink. UW Take Our Kids to Work Day is fast approaching! This year, the Whole U welcomes you with a variety of events across UW to attend with your kids. Find your campus, pick and choose what events you’d like to attend, and register ahead of time to secure your spot! 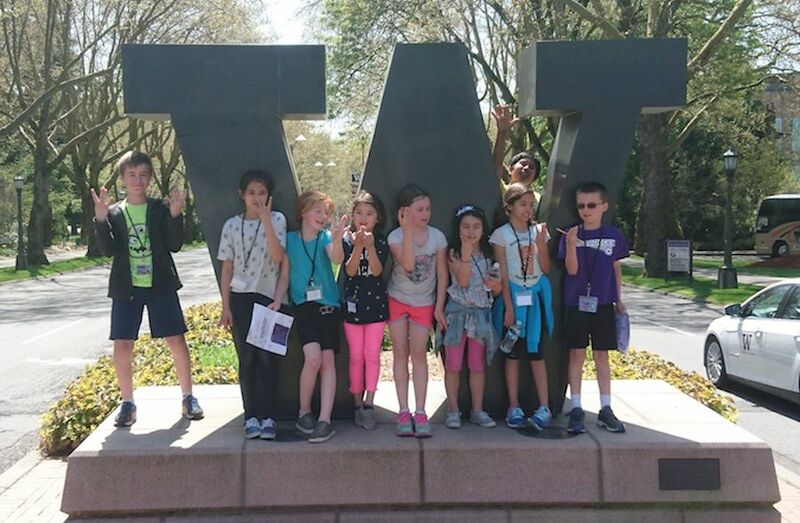 Take Our Kids to Work Day is on Thursday, April 25 at UW Seattle and Tacoma Campus, and Friday, April 26 at UW Bothell Campus. We can’t wait to see you all! Take Our Kids to Work Day at UW Seattle will be on Thursday, April 25, with events hosted between 9:00 a.m. and 3:00 p.m. Registration and events coming soon! Take Our Kids to Work Day at UW Tacoma will be on Thursday, April 25. Events are still being finalized, stay tuned. Bring Your Child to Work Day at UW Bothell will be on Friday, April 26 with events hosted from 9:00 a.m. to 12:00 p.m. at the North Creek Event Center, after which we encourage you to grab some lunch and show your children where you work! Events are still being finalized, stay tuned.